You’d be forgiven for forgetting that since he’s left office, Barack Obama is now just a regular citizen like you and I. OK, he’s not exactly totally regular because he’s still a beloved celebrity of the people, but the sentiment remains. 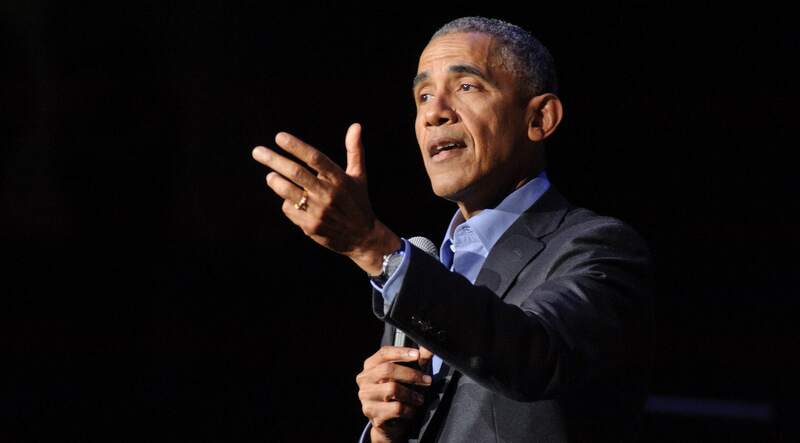 So, it’s still amusing to see the kind of frenzy that surrounds Obama when he goes out in public, as was the case when he reported for jury duty on Wednesday. That’s right. 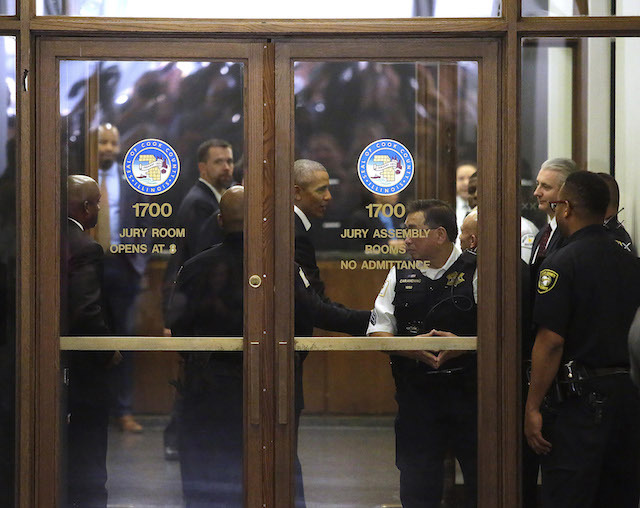 Obama got his marching orders and showed up like the dutiful citizen that he is at a Chicago-area courthouse on Wednesday for jury duty. 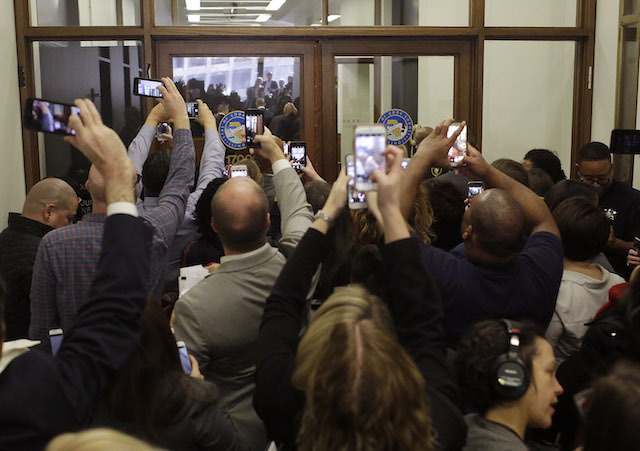 Of course, we may not know what happened once Obama was in the courthouse proper, but we know for sure he caused a commotion (in a good way) upon entering the building. It’s likely no surprise Obama caught the attention of damn near everybody as he made his way into the building. That said, from the photos that have been published, it looked relatively calm and normal as he made his way into the building. And then all hell broke loose. 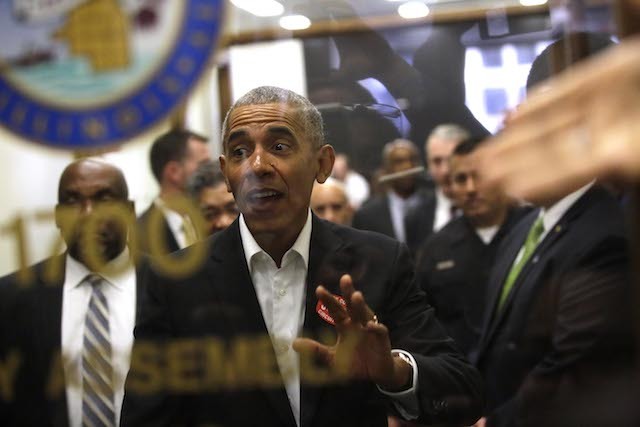 Obama, clearly just trying to make his way from point A to point B, looked a little surprised and overwhelmed (hopefully still in a good way) by the show of support at the courthouse. What would a special moment like this be if there weren’t a photo to remember it by? It’s not every day arguably the coolest president in recent memory just casually shows up for jury duty. Suddenly, this task many of us seem apathetic to complete doesn’t seem so uncool, right? Us Weekly reports that Obama shook the hands of some folks in attendance and thanked those at the courthouse for their service. You’ve got to admit Obama just makes the boring, everyday stuff look so, so effortless and cool.